Pantone are the ultimate colour experts and each year they choose a colour, which has a huge impact on fashion, interior and wedding trends. When they announced that Ultra Violet was going to be the ‘2018 Colour of the Year’, we knew we’d be seeing a lot more of this colour throughout the wedding industry. This vibrant shade of purple is truly unmissable, and it’s guaranteed to make a statement on your special day. 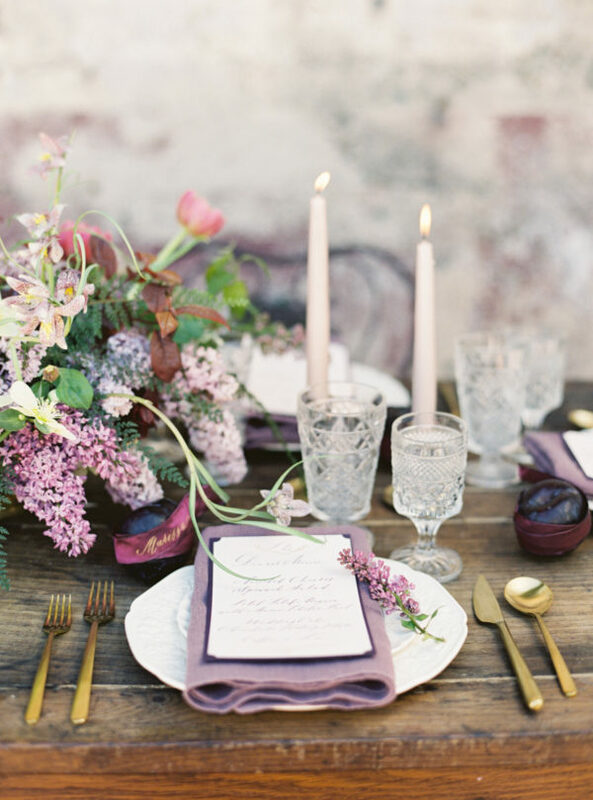 Here are our favourite ideas for adding a touch of ultra violet to your wedding day. 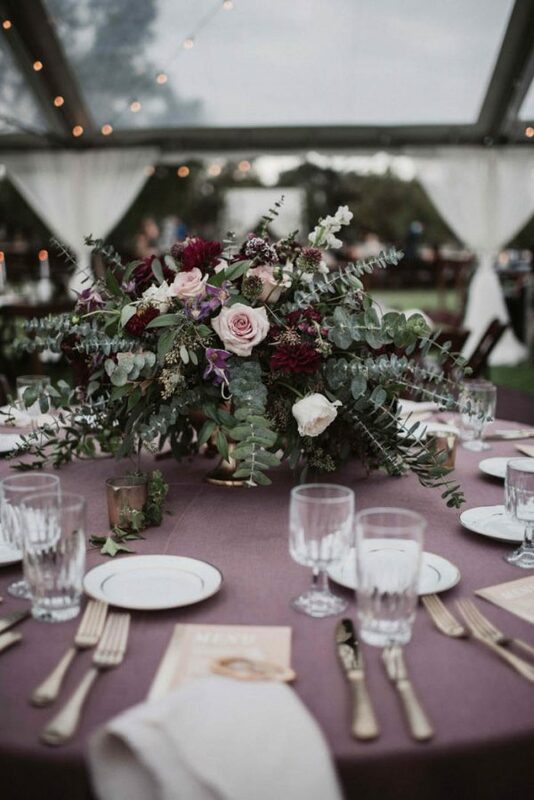 There are lots of ways to incorporate this on-trend shade of purple in your celebration. You can go bold and use it as the main focus of your colour palette, or you can use subtle accents here and there for a nod towards this stylish shade. We think ultra violet would look divine teamed with other colours and this is a great way of adapting this trend to suit your special day. Use it alongside lots of gold details for a modern yet luxurious wedding style. You could also pair it with lots of greenery and foliage for a botanical vibe. If you’re planning a Spring celebration, why not add a few cream and ivory elements for a vintage-inspired feel. Ultra violet is actually an incredibly diverse shade that works wonderfully with lots of colours, textures and details. 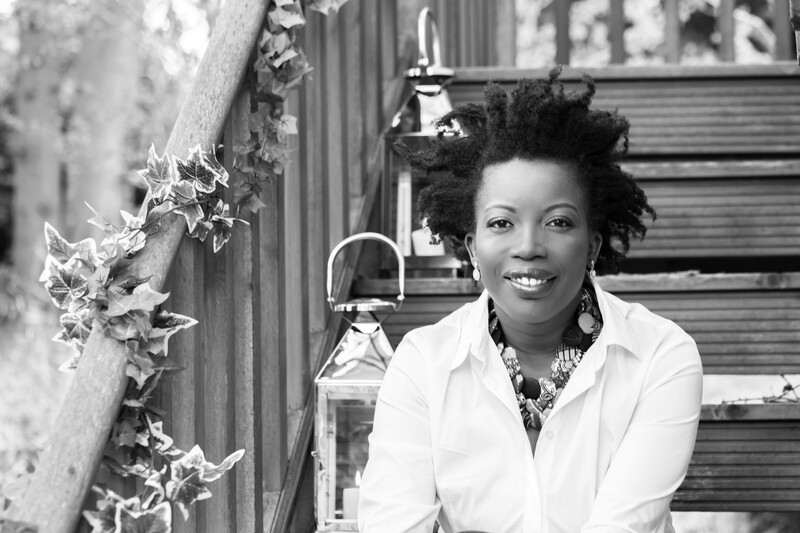 It can easily be charming or equally, it can be cool and on-trend. Let’s focus on the bride-to-be! 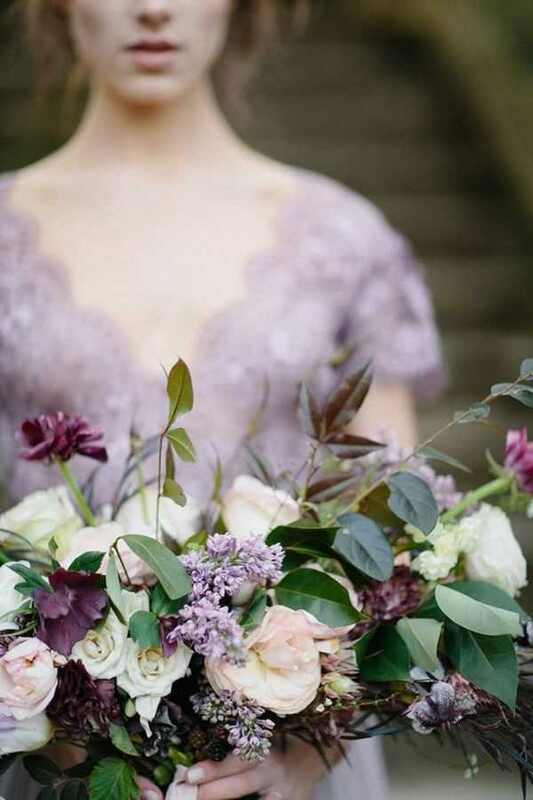 Coloured wedding dresses are becoming increasingly popular amongst the modern bride, but if you aren’t feeling brave enough to don a purple gown don’t fret! Opt for twinkling violet jewels – a pair of purple gem earrings will add a pop of colour to your aisle style. If you want a simple and sweet way of adding a hint of ultra violet to your wedding outfit, you could tie a long silk purple ribbon around the stems of your bridal bouquet. 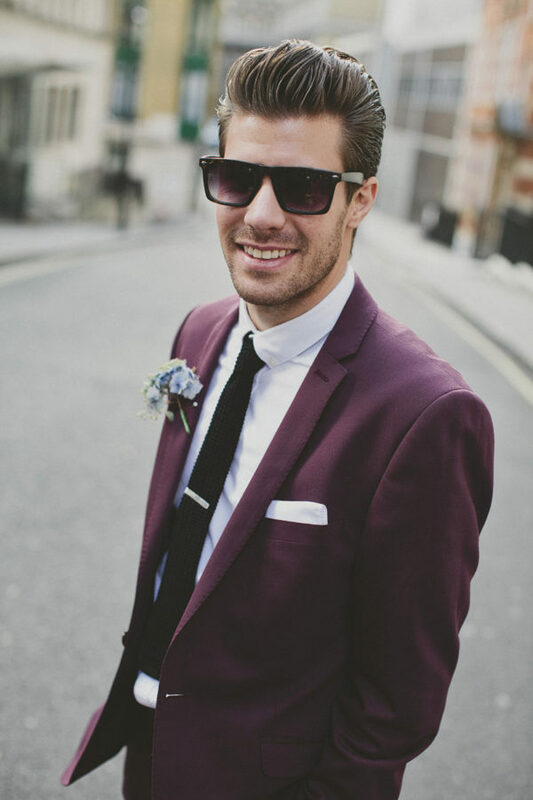 We recommend asking your groom to wear a matching silk buttonhole and tie – very handsome! Luxurious velvet suits are a key trend for 2018 and a purple suit is the perfect way to reflect your colour palette. 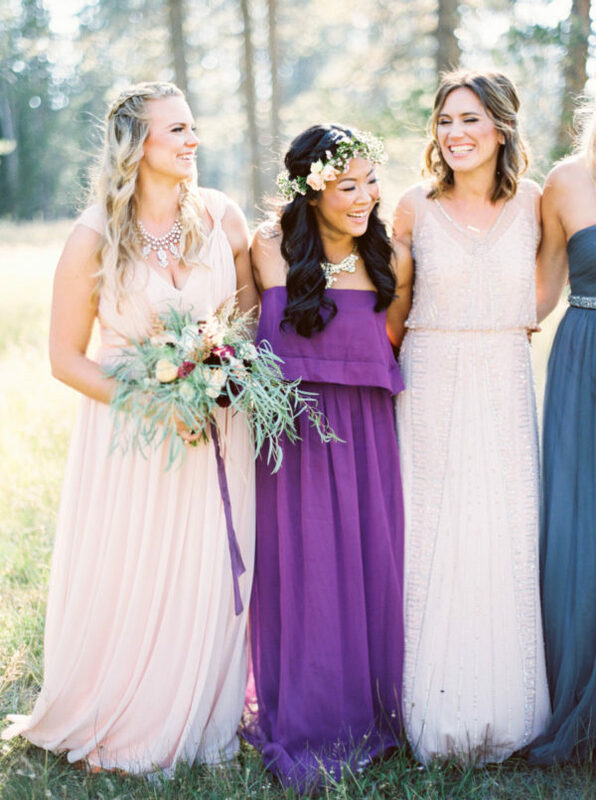 When it comes to your bridesmaids, we think an array of purple gowns will look effortlessly elegant. 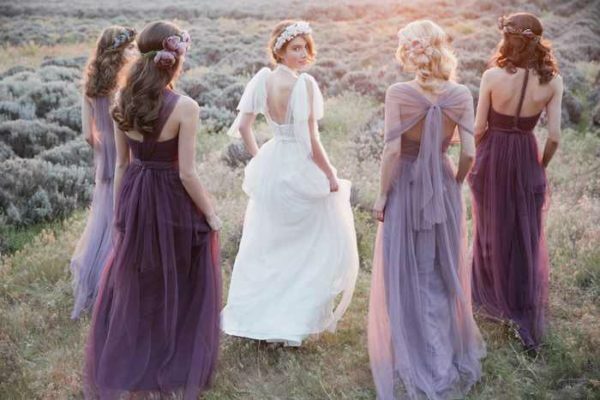 Ultra violet is a shade that may not suit every skin tone, so offer your girls a choice of pale lilac to rich purple. 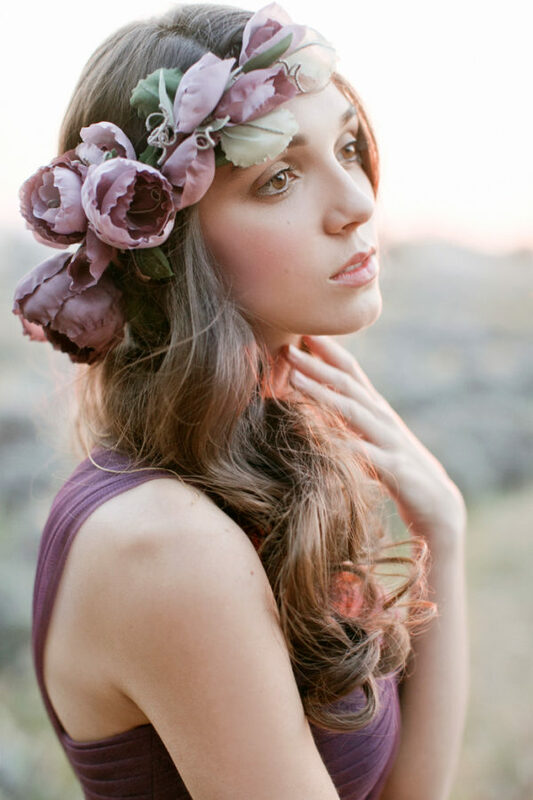 You could even ask them to wear pretty purple posies in their hair as a nod towards your ultra violet wedding theme. 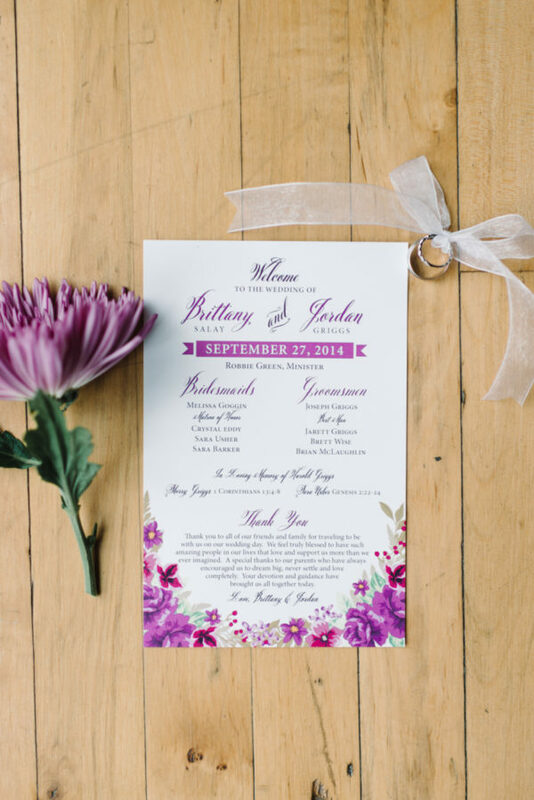 Show your guests what’s to come by incorporating ultra violet details into your wedding stationery. If you want something that is luxurious and opulent, opt for ribbon, embossed writing or calligraphy. If you want something a little softer with a romantic feel, design your invitations with watercolour purple tones. From fields of lavender to archways adorned with ultra violet blooms, make use of beautiful backdrops throughout your wedding day! They’ll look amazing in your photographs and they are a fun way of creating your colour scheme. Don’t forget about the smaller details! 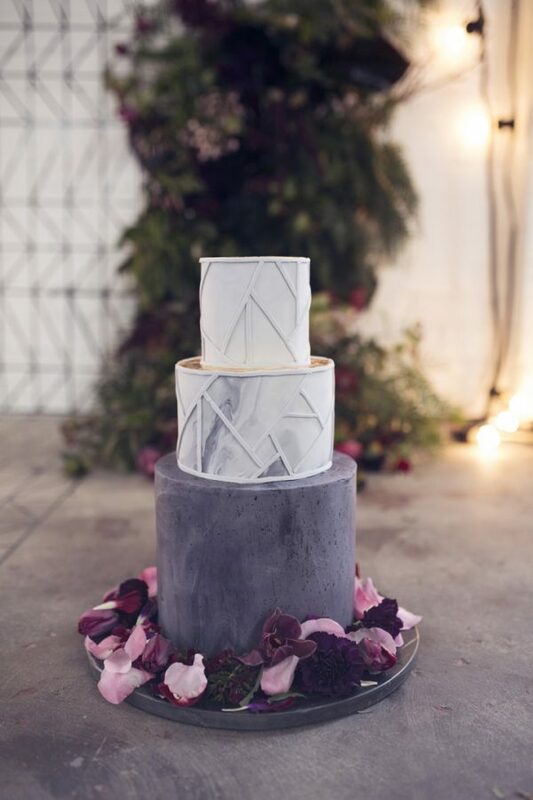 Use textured purple tablecloths to decorate your wedding dessert table, opt for ultra violet napkins or tie your cutlery together using purple ribbon. Purple candles placed in gilded candlesticks will look decadent dotted along your tables, windowsills or fireplaces. An ultra violet wedding theme is on-trend, romantic and bound to capture your heart! 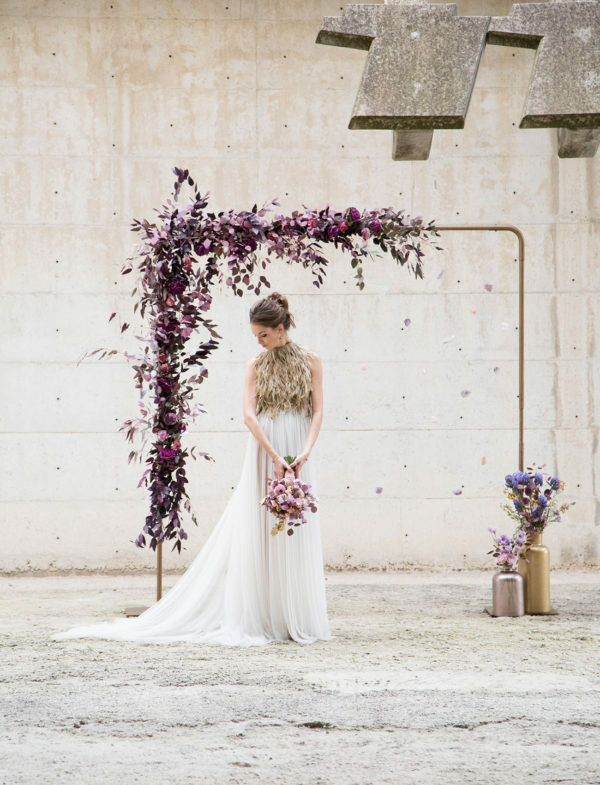 If you need help with designing or styling your Ultra violet wedding in Sussex, London or wherever you are, be sure to drop us an email – Lily & Lavender Events would love to bring it to life for you! Discover more inspiration here.